Program: Souqs, Hotels, Mosque, Underground Public Parking and Exhibition Gallery Spaces. 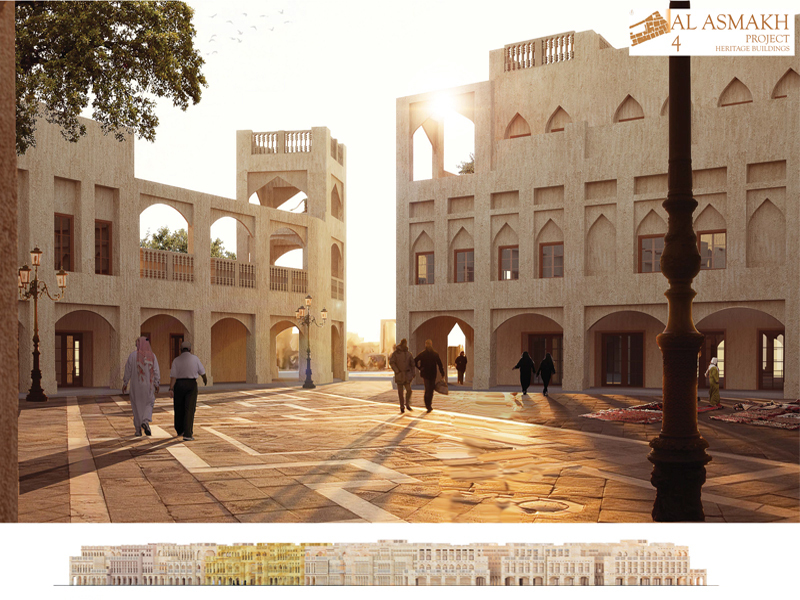 Al Asmakh is one of the richest historical sites of Doha situated near the famous Souq Waqif and Msheireb project. Dating back to the 1930’s it is one of the largest surviving historical districts of Doha. 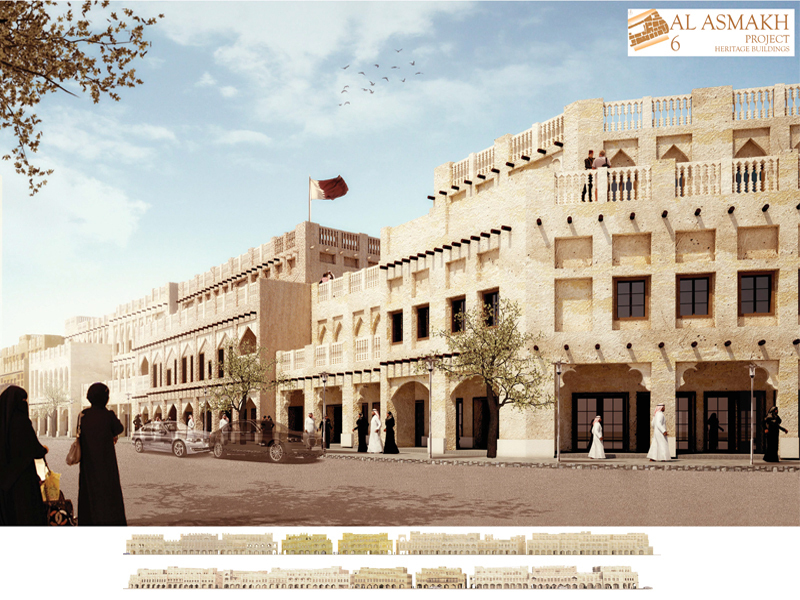 Despite much development around the site, however the core has remained true to its historical traditional style Qatari architecture. 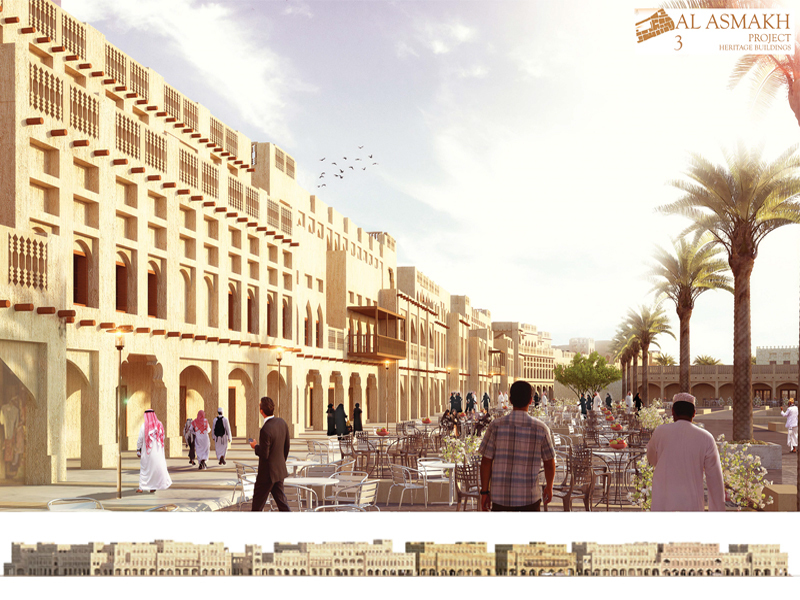 Due to its cultural and economic significance, Al- Asmakh presents a significant opportunity for the revitalization of a decaying neighbourhood. 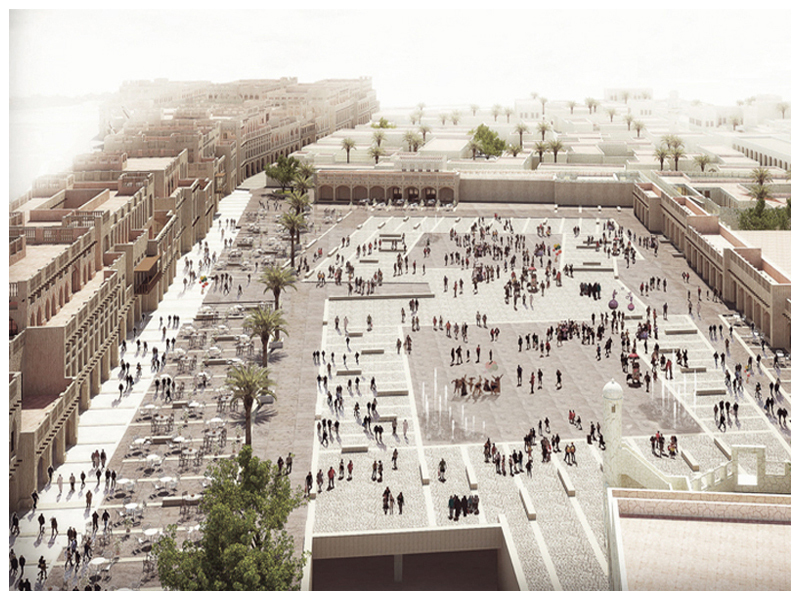 This ambitious undertaking aims to create pedestrian friendly urban hub through the re-purposing of the historical structures for uses such as shops and gallery spaces to further the promotion of cultural fabric of Doha.